HomehistoryWho’ll Bid Me 15 Sous For The Head Of Olympe De Gouges? However, this didn’t really go down well with the bloodthirsty Parisians. A mob with murderous intentions soon surrounded her lodgings. Olympe, instead than barricading herself inside, went downstairs to reason with them. When she appeared, the mob grabbed her by the waist and knocked off her signature white headdress. 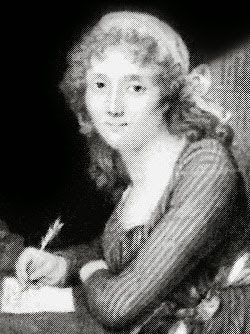 From the hostile crowd, a man cried out: “Who’ll bid me 15 sous for the head of Olympe De Gouges?”. Undaunted, Olympe quickly replied, “I’ll bid you 30, and I demand first refusal”. The crowd was amused at her response, and, laughing, dispersed. But the Revolutionary government wasn’t as easy to pacify. Her attacks against the new republican regime landed her in jail and, in November 1793, she was guillotined.